Whilst you’re probably aware that online gaming isn’t all about bingo, it may come as a surprise – especially if you’re relatively new to the world of online bingo – that you can play other types of games on bingo sites, many of which have been specially-designed in miniature format to fit nicely into the design of your bingo room. That means you can play bingo and enjoy some great slot games at the same time: There’s no need to stop your bingo game or switch to another window – it’s all laid out for you via one custom-designed user interface to bring you double the fun under one roof. Most bingo sites offer slots and other side games – and if you can’t see them whilst you’re playing bingo they’ll usually be accessible via a set of tabs on the homepage of your bingo site. 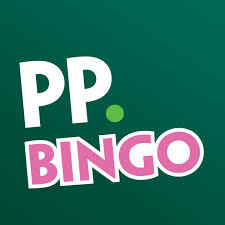 The variety of games on offer can be huge these days: Some of the world’s largest internet gaming software houses like Microgaming and Playtech have now launched their own bingo software, and sites that use them can therefore offer a huge range of slots and other side games; many bingo sites now offer branded slots that have become household names. Games like Gladiator, Great Blue and other classics can now be played in bingo rooms, and are introducing bingo players to the huge range of possibilities that are on offer for them if they fancy developing their gaming repertoire beyond the confines of bingo. Although slots are the most popular side games, there are other types of games to try out as well: Instant win games are becoming increasingly popular, as more and more players latch on to the excitement they can provide. Many instant win games come in the format of the scratchcards that we’re all familiar with from our local shops – although they now also come in other wild and wacky formats, featuring animated graphics and sound clips that will really blow you away. 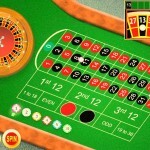 You can also dip your toe into the world of casino games on most bingo sites: For players used to buying bingo cards and ticking off numbers, the rules of games like roulette or blackjack can seem intimidating – but the bingo site versions of these games are especially-designed to be as user-friendly as possible and they’re much simpler than you’d think. These days, side games are becoming an essential part of any serious online bingo player’s gaming knowledge base, so why give them a try? With bingo and chat also on offer, you’ll find it impossible to be bored ever again!